We recently relocated to Thousand Oaks, CA from NJ. As one can imagine, relocation is never easy and can be quite daunting. Working with Ric has been an extreme pleasure because he is knowledgeable about the area, an expert in relocation, and caters to the needs of the buyers. He has successfully managed to win on negotiations that allowed for us to purchase the home we desired, at the price we were comfortable with and made the process quite seamless. Ric was always responsive, objective and consistently championed for us. We would most certainly recommend him to anyone! Ric, we really can't thank you enough for everything you've done and all the help, support and patience you've provided throughout this process. We were incredibly fortunate and are immensely thankful that you were our guide, representative and friend throughout this process. I really do hope that we can remain in contact because you've been an invaluable source of information and I know we would very much like to find a way to properly thank you for everything you've done. If there's ever anything you need from us, or if we can be of any help to you, please don't hesitate to ask, we are firmly in your debt. I have heard horror stories from co-workers who, working with other realtors, were made to feel like they were just a number. I kept hearing how their agents were never reachable to begin with and then would take days to return calls or respond to emails. Talk about making you feel insignificant! That was not the experience I had working with Ric. Every time I called, he either answered the phone or returned my call within a couple of hours. If I sent an email or text, the same prompt response was received. I have now worked with Ric for three transactions and each time I felt like I was his only client. Even a month after closing on the purchase of my home, I turned to Ric for help when I ran in to an issue and like the pro he is, he helped me immediately! Whether you are looking to buy or sell your home, I would highly recommend Ric Prete and his team. Thank you for the thoughtful gift. And absolutely, will send more referrals your way. If you have a potential client who feels the need to talk to someone who has worked with you, feel free to give them my number. Again, I truly value the extra hand-holding you gave to help a girl get through what was (for me) a scary process in selling that condo in Moorpark. "Thanks so much for all your help and thoughtful gift. I've been telling my co workers how nice it was working with you, who knows, may be you will help them too in the future". "Dear Ric, thank you so much for all your help, patience and great advice! We could not have hoped for a better agent!" "Ric, we really appreciate all you did for us. This move could have been aweful if not for all your help and knowledge"
"Ryan and I wanted to thank you for all the hard work you put in getting our house to sell. We appreciate all the things you took care of for us. It was such a pleasure working with you! We wish you all the best! "The work Ric did for us was amazing. When most realtors would have given up, he continued to search for the perfect house for us with unfailing effort and enthusiasm. Even when the bank that pre-approved our loan failed to come through, Ric found us another mortgage company and within two weeks we had a loan. I doubt that there are many realtors out there who would have worked as tirelessly as Ric did for us. It almost makes me want to turn around and sell a house just to see what miracles he could perform." "Thanks again for your excellent service. Your astute analysis of the changing real estate market and professional approach enabled us to sell our home quickly. You exceeded our expectations when you helped us buy our home five years ago, and you have done it again with this home sale. We will certainly contact you if I have other real estate transactions in this area in the future. We are convinced that you are by far the best agent in this region." "We could never thank you enough for all of the help you gave us in finding a home. We'll let you know when we are ready to sell." "Louise and I were very happy with everything you did. From the start, you seemed to understand the kind of place we were looking for and you didn't waste our time with properties that we weren't going to be interested in. Over the past year I've heard plenty of people's stories about realtors not listening to them and wasting their time by showing them homes that they really aren't interested in, but we had the opposite experience. From the offer through to completion you were always very polite, prompt and thorough, keeping us well informed throughout. We'd certainly ask for your help if and when we decide to move again." "After listing with a broker of another Reality Firm and the disappointment we had in dealing with them, it was a breath of sunshine to engage you. Your professionalism and your upfront approach to the market conditions at the time of our listing with you, made us realize we had the right person for the job... More importantly, you held the deal together with a tough client." "Ric is a real class act, he was always professional and handled the sale of our home while we were on vacation." "We have brought and sold four times with Ric and highly recommend him." 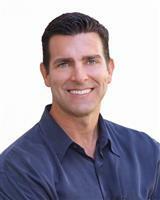 "I have dealt with many Realtors in the past and my transaction with Ric was the smoothest. He will definitely get my referrals." - "We were very pleased with Ric's work and follow up and will continue to use him exclusively." "Ric handled a complicated probate sale for us with ease. I would highly recommend him." "Our home sat on the market for over one year with two other realtors, Ric was the agent that got the job done." - "Ric got us the highest price in our neighborhood. He was honest & proactive." - "Everything Ric said, we did not relying on our instinct, our home sold within 6 weeks for one the highest prices in the tract." "I know many Realtors since I'm a handyman, but I chose Ric because of the way he handles his business - give this guy a try." "His service and dedication not only got my attention but also the attention of the relocation company involved." "Thanks so much for everything, you were pleasant to work with." "I am so blessed. I just love you! Your thoughtfullness, thoroughness, kindness, pleasantness will be remembered as long as I live. You were more then wonderful. May the Lord bless you and keep you well always." "Thank you so much for making the purchase of our new home such a fun experience. We had such a great time with you whether we were driving around looking at houses or signing millions of papers. You are truely great at what you do..."
"You are really the key to our finding the experience of moving into our home so easy. You seemed to anticipate our questions! Thank you for all your help and your great sense of humor throughout the process." "Thank you for all that you did for the sale/purchase of our homes. You are fantastic! We will definitely recommend you to everyone we can!" "Thank you so much for a wonderful real estate experience. As a licensed Realtor I am aware of what it takes to successfully complete a transaction these days. Your professionalism, tenacity an caring demeanor provided me with a tremendous amount of security and trust in your ability to sell my home. I truly could not have asked for a better experience. As you know, ex-realtors can be difficult to please! You did well.